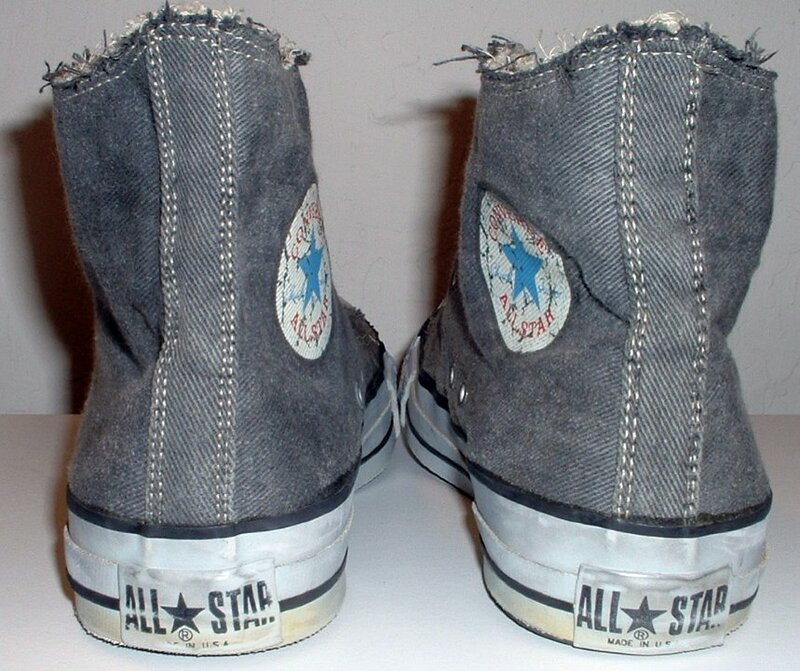 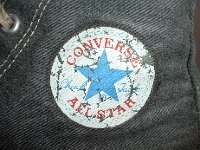 Photo gallery of vintage black denim distressed high top chucks. 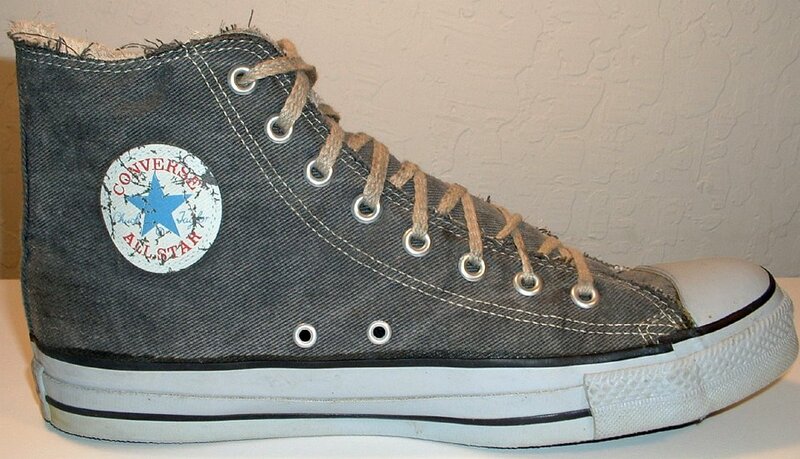 1 Vintage Black Denim Distressed High Top Chucks Right inside patch view. 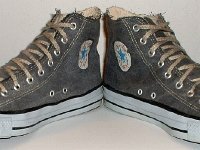 2 Vintage Black Denim Distressed High Top Chucks Right outside view. 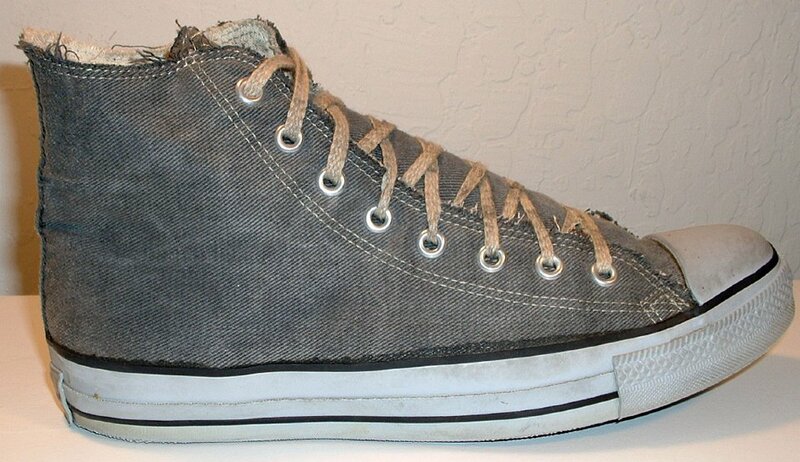 3 Vintage Black Denim Distressed High Top Chucks Left inside patch view. 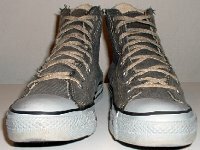 4 Vintage Black Denim Distressed High Top Chucks Left outside view. 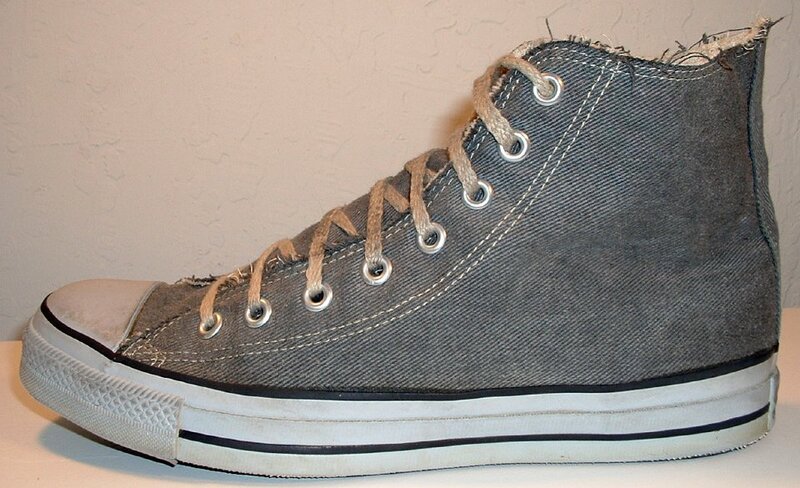 5 Vintage Black Denim Distressed High Top Chucks Angled side view. 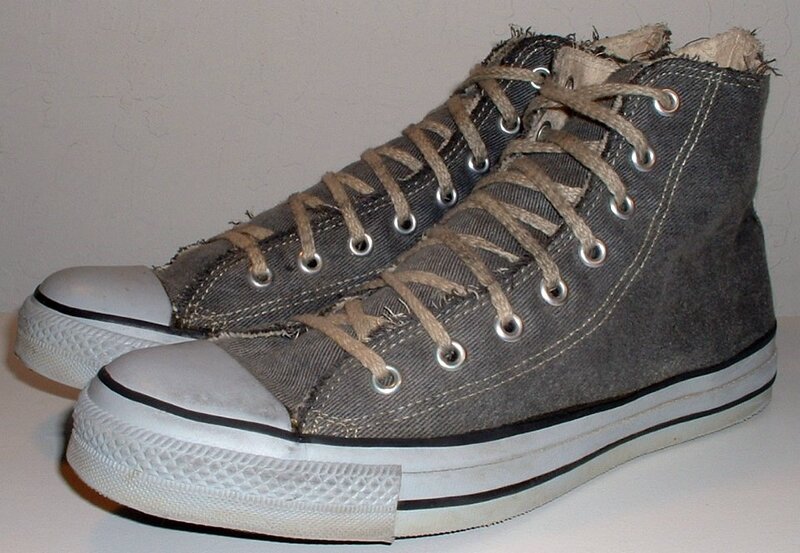 6 Vintage Black Denim Distressed High Top Chucks Rear view. 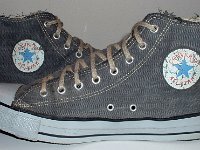 7 Vintage Black Denim Distressed High Top Chucks Front view. 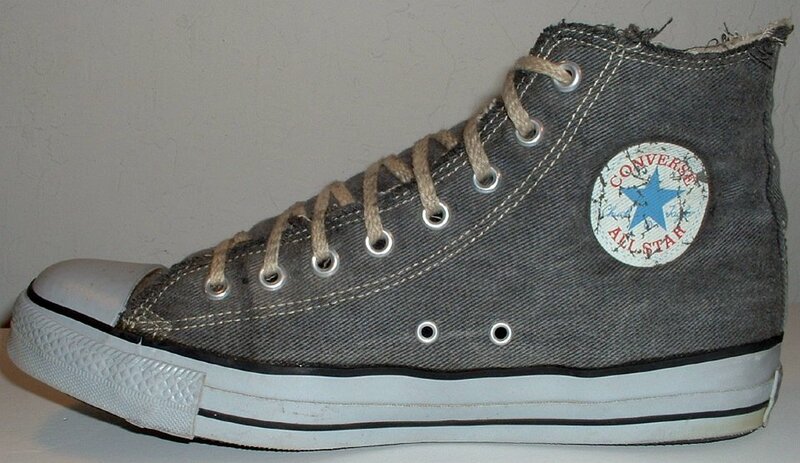 8 Vintage Black Denim Distressed High Top Chucks Angled front view. 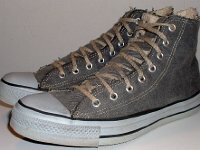 9 Vintage Black Denim Distressed High Top Chucks Top view. 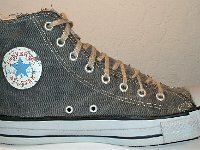 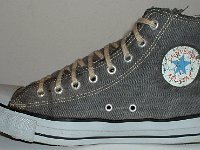 10 Vintage Black Denim Distressed High Top Chucks Inside patch views. 11 Vintage Black Denim Distressed High Top Chucks Closeup of the distressed ankle patch. 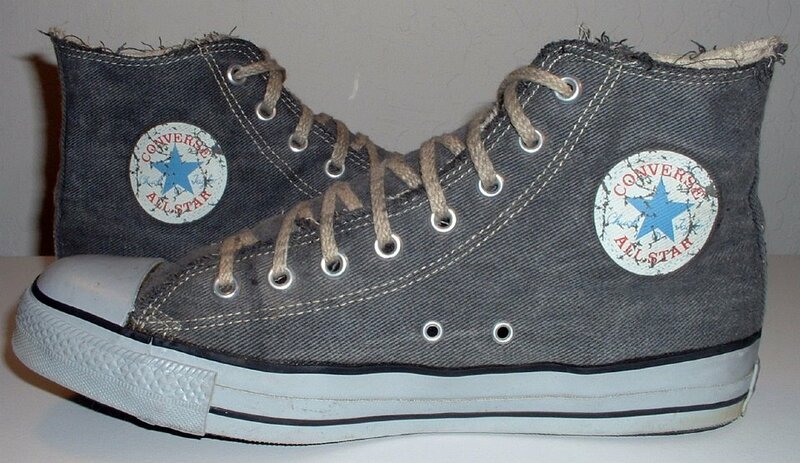 12 Vintage Black Denim Distressed High Top Chucks Outer sole view. 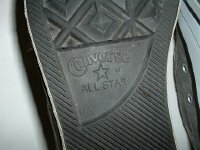 13 Vintage Black Denim Distressed High Top Chucks Closeup of the writing on the right outer sole. 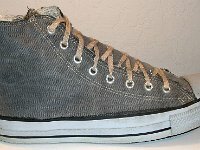 This is a made in USA black denim high top in men's size 10.5. 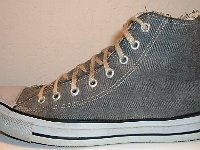 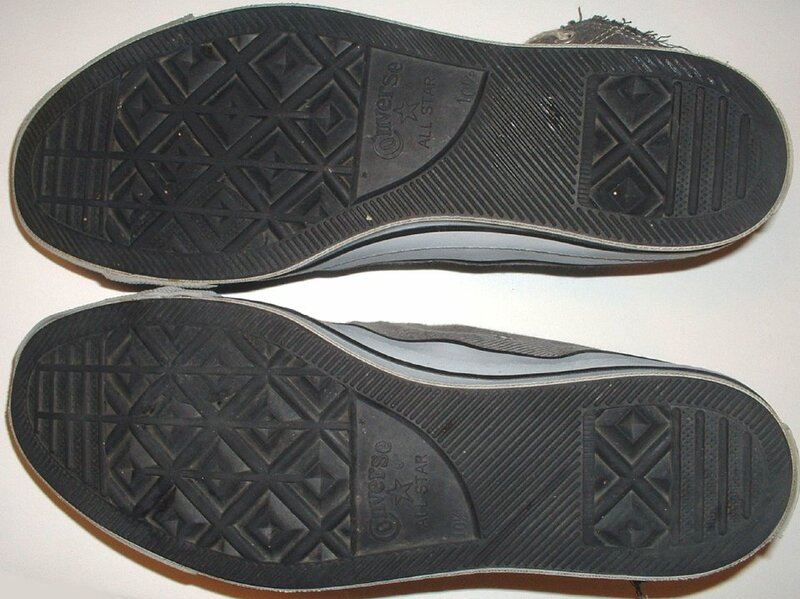 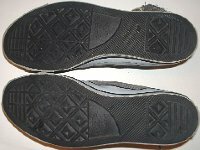 The shoes were produced in 1999 - 2000 and have several unique features. 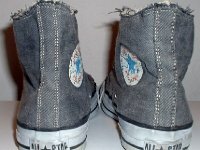 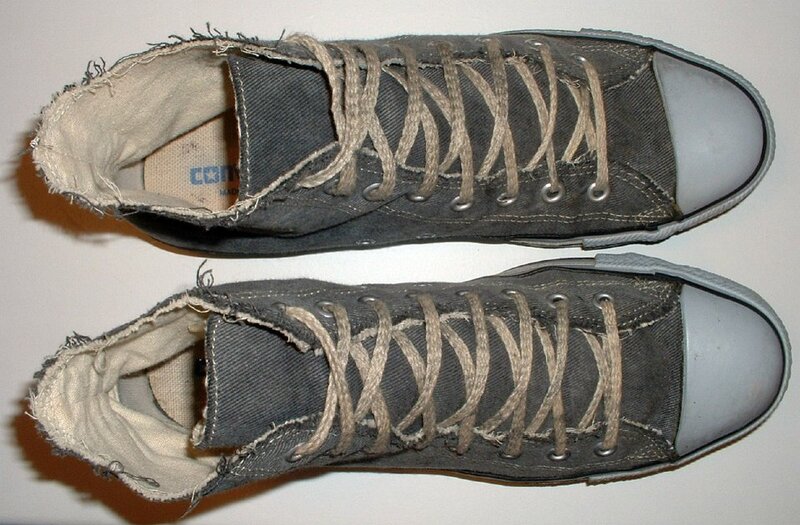 First the denim was not sewn down at the edges, so the fabric of the shoes has a frayed looked. 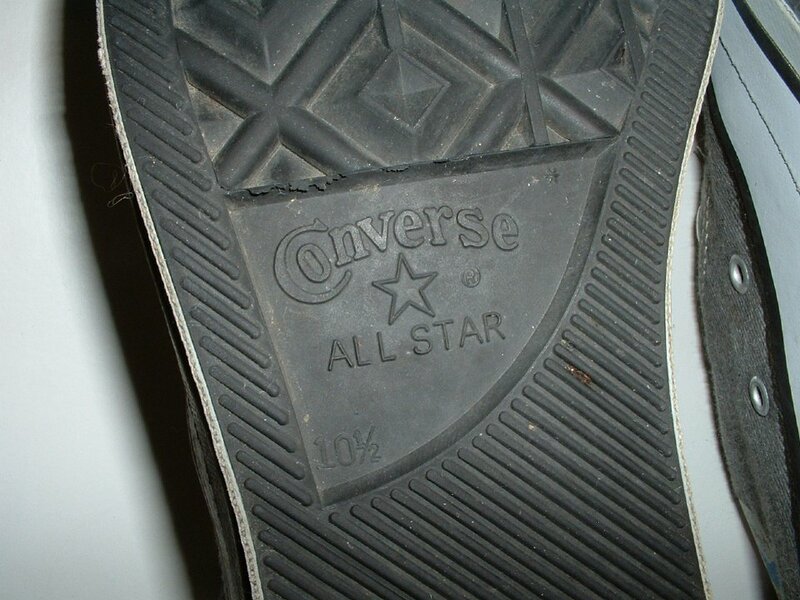 Second, the shoes have cracked and beat-up looking Chuck Taylor side patches. 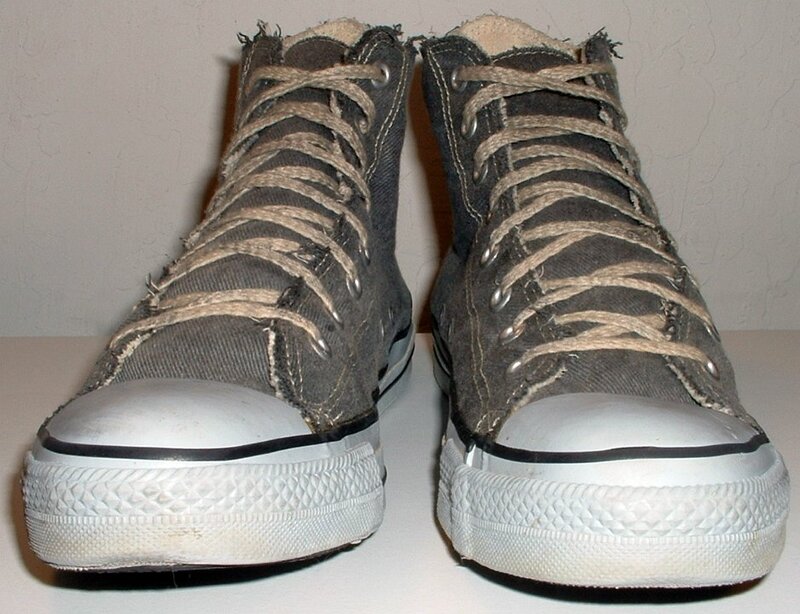 Third, instead of a white rubber wrap around like you see on almost every pair of chucks except for monochrome black, these shoes were made with a gray colored wrap around. 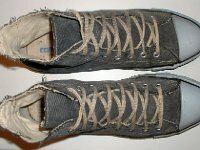 And a final touch was the use of natural hemp shoe laces.